The Water Supply and Sanitation Project in Mozambique is expanding water and sanitation services, rehabilitating a crucial dam and improving drainage—and ultimately helping fuel northern Mozambique’s economic boom. The Millennium Challenge Corporation (MCC) and the Government of Mozambique signed a five-year, $506.9 million compact in July 2007, designed to increase the country’s economic growth and reduce poverty by investing in four project areas: water and sanitation, roads, land tenure, and agriculture. Lessons from previous government development strategies. The compact focused on Mozambique’s northern provinces, home to half the country’s population but where the economy has lagged compared to the southern provinces. Help upgrade water and sanitation systems. The Government of Mozambique and MCC expect more than two and a half million people to benefit from the investments. Further details of the compact results and impacts will be shared in forthcoming impact and performance evaluations. Estimated benefits correspond to $310.8 million of compact funds, where cost-benefit analysis was conducted. Any household expected to receive an income gain from the MCC project, either through direct monetary increases, time savings, land value. Net Benefits are the compact benefits minus the costs for the project(s) over the 20 year compact life. This is calculated at a 10% discount rate. Estimated benefits corresponds to $19.5 million of project funds, where cost-benefit analysis was conducted. Historically, Mozambique has been a significant exporter of coconuts and coconut products. However, outbreaks of coconut lethal yellowing disease (“CLYD”) had threatened the industry and the livelihoods of over 1.7 million people in Zambézia and Nampula Provinces. Affected trees stop producing fruit and must be removed and replaced. The objective of the project was to improve productivity of coconut products and encourage diversification into other cash-crop production. The project aimed to eliminate biological and technical barriers hindering economic growth among farms and targeted enterprises, while supporting diversification into other cash crops and improved farming practices to assist smallholders and producers to recover lost income. In conjunction with tree removal and replacement, the project assisted farmers in adopting new cropping systems and developing alternative sources of cash income during the seven or more years required for the coconut trees to reach productive age. Meanwhile, the project provided technical support to introduce better practices aimed at increasing crop yields. At its conclusion, more than 8,000 hectares with diseased or dead palm trees were cleared in areas affected by the disease, more than 780,000 disease-resistant seedlings were planted and more than 15,000 farmers were trained in coconut pest and disease surveillance and control. MCC is conducted a mixed-methods performance evaluation of the farmer income support project that measured CLYD prevalence and spread, household incomes, and the survival of coconut seedlings. The evaluation found that in the epidemic zone (<10% disease prevalence), FISP was successful in reducing overall disease prevalence. Despite the success in efforts to reduce disease prevalence, coconut production did not increase enough to lead to increased household income from the sale of coconuts. Instead, FISP had an impact on non-farm income (fishing and non-skilled labor). In the endemic zone (>75% disease prevalence), FISP had a measurable and significant impact on households’ adoption of alternative crops, which led to increased production of FISP-promoted crops; however, the magnitude of the increase was small and did not result in an impact on household income. The Farmer Income Support Final Evaluation Report was released on the MCC Evaluation Catalog, available at https://data.mcc.gov/evaluations/index.php/catalog/131/related_materials. The three farmer training indicators cannot be aggregated as farmers may participate in multiple trainings. Estimated benefits corresponds to $40.1 million of project funds, where cost-benefit analysis was conducted. registering individuals’ and businesses’ grants of land use, whether in the form of land titles to long-term or perpetual-use rights. an advisory forum was established to engage stakeholders in transparent and structured policy discussions relevant to the sector. MCC is planning impact evaluations of both the urban and rural components of the site specific access to land activity, as well as a performance evaluation of the land administration capacity building activity. The impact evaluations will assess the effect of provision of a land use certificate (DUAT) on land tenure security, investments, land value and productivity. The performance evaluation will assess the effect of training of local land offices and incorporation of a land information management system on the time it takes to process a DUAT and the volume of DUATs. End line data collection is expected in 2017 with findings published in early 2018. In addition, a performance evaluation was already completed in coordination with DFID of the community access to land e component of the site-specific access to land activity, which assessed the effect of provision of community DUATs via the Community Land Fund on allocation of resources, perceptions of tenure and commercial investments. The community evaluation is available here. CFJJ: Legal and Judicial Training Center (Portuguese acronym); DNTF: National Department of Land and Forestry (Portuguese acronym). DUAT: “legal recognition of right of access and use of land”; LTR Urban and LTR Rural DUATs only. Other forms of household legal recognition include "Comprovativos" (LTR activities) and "Certidões" (iTC Activities). The end-of-compact target is equal to the number of DUATs issued into the hands of urban and rural beneficiaries, including producer associations. Estimated benefits corresponds to $127.7 million of project funds, where cost-benefit analysis was conducted. increase public transport access for individuals to take advantage of job and other economic opportunities. In its design, the project was to rehabilitate 491 kilometers of high-priority interventions on key segments of National Route 1, which form the backbone of the country’s transportation network. Due to higher than expected costs identified during the preparation of full feasibility studies and detailed engineering designs, MCC and the Government of Mozambique agreed to re-scope the activity to two segments totaling 253 kilometers of improved road. At the conclusion of the compact, approximately 90 percent of the 149 kilometer road segment and 70 percent of the 103 kilometer segment had been completed. As a result, the Government of Mozambique committed a total of $30 million (an initial tranche of $10 million and a subsequent tranche of $20 million) to finish the works and cover the associated project management costs. These works were completed in December 2014. MCC is planning a performance evaluation of the Roads Project that will measure road roughness, road maintenance, annual traffic, and vehicle operating costs. Estimated benefits corresponds to $123.5 million of project funds, where cost-benefit analysis was conducted. The Water Supply and Sanitation Project was designed to improve access to safe, reliable water supplies and sanitation services, recognizing that lack of access to these resources are a barrier to growth and health. This project aimed to increase productivity and reduce waterborne diseases—one of the leading causes of death in children under five. The project was also designed to address issues of inadequate access and unreliable service delivery in small- to mid-sized towns. Project teams constructed more than 614 rural water points (boreholes with hand pumps), upgraded and expanded two municipal drainage systems, and upgraded and expanded two urban water supply systems. Additionally, MCC, the Government of Mozambique and other sector stakeholders worked to develop and apply new policies to promote sustainable management of Mozambique’s water resources infrastructure. This included the creation of a new, semi-autonomous government entity (AIAS) responsible for the management of water supply and sanitation assets in 134 of Mozambique’s medium-sized cities and towns. MCC planned an evaluation of the Urban Water Supply and Drainage and Sanitation Activities that would measure the reliability and quality of water supply, per capita water consumption, and health and other outcomes. The performance evaluation is expected to begin in early 2017. Consumption of improved water increased by 15.1 liters per capita per day. Median household year-round trip time to the primary water source fell by 62 minutes and dry-season roundtrip time fell by 129 minutes. Time savings were primarily used for domestic activities, resting, family activities/child care, and farming. No statistically significant impacts detected on health-related outcomes. No statistically significant impacts have been detected on household income. No statistically significant impacts detected on poverty rate. Rural water points constructed refer to communal hand pumps in Nampula Province and communal small scale solar systems in Cabo Delgado Province. 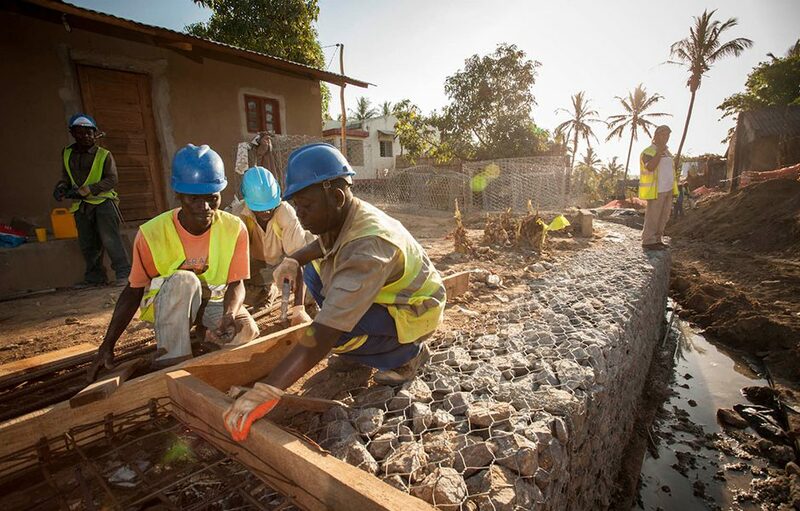 The MCC-Mozambique compact included large scale capital investments in infrastructure and major service delivery systems, like those that manage water and sanitation. MCC compacts are a fixed amount implemented over five years, and partner governments must focus on compact results while balancing changes in costs and implementation schedules. Reducing the compact’s infrastructure projects from four road segments totaling 491 kilometers to two segments totaling 253 kilometers. Restructuring the Water Supply and Sanitation Project and the municipal drainage activities from six in each area to two. MCC and MCA-Mozambique terminated a Water Supply activity (Nacala), due to an underperforming contactor. The government began working with the World Bank in 2013 to complete this water supply activity. The Government of Mozambique committed an additional $30 million in 2012 to help complete compact components that faced procurement and civil contractor staffing delays. This enabled them to complete all road works in January 2014. With a recognition that construction on the 253 kilometers of road would not be completed by the September 2013 compact end, the Government of Mozambique provided additional funding of $10 million in July 2013 to cover expected post-compact construction and project management costs. 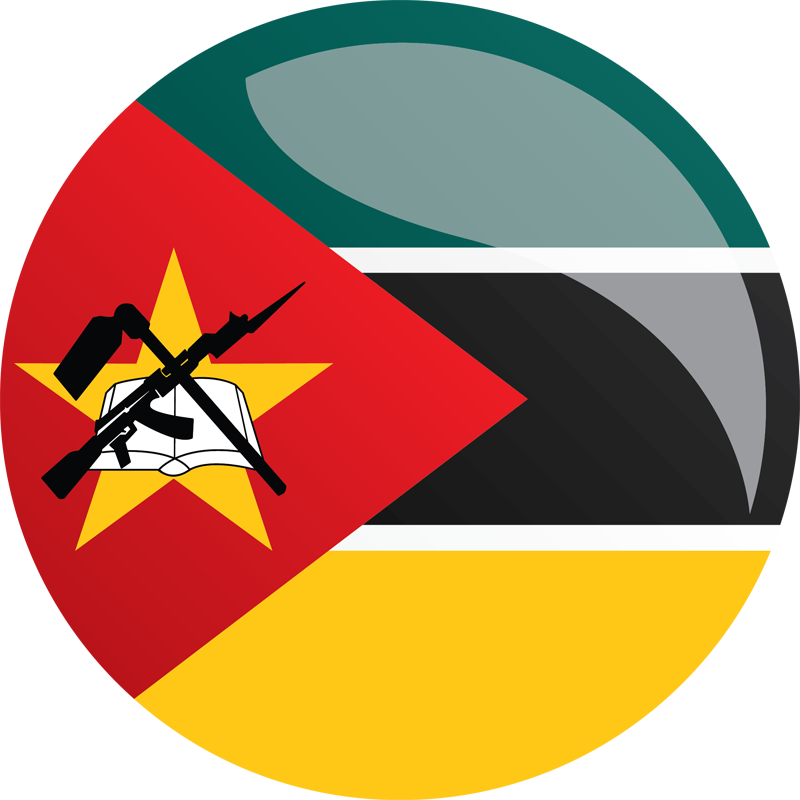 Following the compact’s closure, the Government of Mozambique allocated another $20 million, for a total government contribution of $30 million. These additional funds were provided to cover expected final costs associated with the Road Project, which included outstanding construction and project management costs, as well as funding to cover construction-related claims. Following the compact’s closure the government worked with the World Bank to identify financing and construction opportunities for the Nacala Water Supply activity, which was terminated as a result of a poorly performing contractor..
To encourage desired investment outcomes under the compact, MCC and the Government of Mozambique agreed that the following conditions precedent (CP) would be met before disbursing project funds. To better ensure sustainability and consistency within the WSS sector, the regulatory agency will have broader oversight to include smaller cities and towns. As a CP, the Minster of Public Works and Housing signed a letter of sector policy which officially expanded the mandate of the regulatory agency. Land use rights are currently not easily transferrable, hindering considerable small and medium-scale development, business creation, etc. The Government will adopt revised legislation and administrative procedures that allow land use rights to be transferred without undue delay or risk. Administração de Infraestruturas de Água e Saneamento (AIAS), a new institution established to manage water supply and sanitation assets in Mozambican cities with populations between 50,000 and 150,000. The Government of Mozambique has prepared a paved road maintenance program that includes a periodic maintenance for the entire paved roads network. The program includes but is not limited to the following items: a rolling planning period of eight years; provisions for annual updating of the program based upon additions to the paved road network; a detailed listing of all paved roads subject to periodic maintenance by year; a funding plan that includes 100% of routine and periodic maintenance works such that those works will be funded in increasing amounts to 100% by user fees as of ten years after the initial paved roads maintenance program.